Today Mrs. Kader was received by the Diplomatic Advisor to the Minister of Defense, Min. Pl. Nicoletta Bombardiere at the Italian Ministry of Defense. The talks focused on the current situation in the Region of Kurdistan, the humanitarian crisis, and the financial crisis due to non-payment of the budget by the central government in Baghdad and the fight against Daesh. 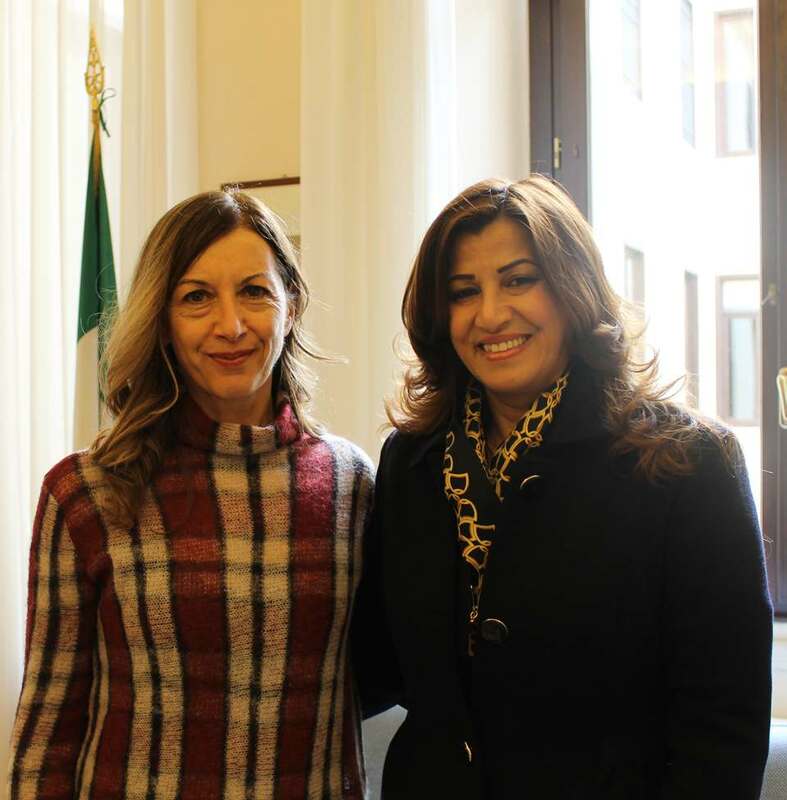 Mrs. Kader thanked Minister Bombardiere for the important support of the Italian Government, however, it is urgent additional support from a military and humanitarian point of view, in terms of military supply, technical clothing, care for the peshmerga wounded, to advance mine clearance and reconstruction activity of the city occupied by terrorists and then released in order to allow the return of the displaced population. Unfortunately many requests submitted were not satisfied. Min. Bombardiere, stressing the enormous importance that the Kurdish question in all its aspects plays for the Italian Government and to which the Minister Pinotti gives special attention, expressed her solidarity to Mrs. Kader. In addition, she will inform the Minister Pinotti so that it can exert the right pressure on the Italian Government to meet as soon as possible the requests submitted and to solicit other countries of the international coalition to find an effective way to financially support the Kurdistan Region.